for their service as part of the “Adopt A Fire Station” initiative. This holiday season, Orange County citizens reached new heights of generosity by adopting all 41 Orange County Fire Rescue fire stations, as part of Orange County Mayor Teresa Jacobs “Adopt a Fire Station” initiative. Launched in 2012, Adopt a Fire Station enables neighborhood groups, businesses, and nonprofits to recognize and give back to their local Fire Stations during the holidays. This was the first time since the program’s inception that every station was adopted – with some stations and shifts being adopted by multiple groups. While most people spend the holiday season feasting at home or shopping for gifts, dozens of businesses, organizations and families decided to give back to their local fire station crews. Firefighters were treated to home-cooked meals, Christmas caroling, game nights and even assistance cleaning a fire station. This year, some organizations adopted multiple fire stations, including Church of the Cross, Kelly’s Homemade Ice Cream and Sheraton Vistana Resort. These groups went above and beyond to make the 2015 campaign an overwhelming success. Church of the Cross adopted all seven fire stations in Battalion 2 and had lunch catered for the crews. The owners of Kelly’s Homemade Ice Cream were so excited about the four stations they had initially adopted that they adopted four additional stations, which had not yet found a sponsor. Sheraton Vistana Resort’s General Manager, Glen Vlasic, said the resort has fostered a longstanding relationship with members of the fire department, and the resort’s employees wanted to give Orange County Fire Rescue’s first responders the recognition that they deserve. “Based on that relationship, we wanted to make sure that we look after those men and women who look after our associates, owners and guests so well,” Vlasic said. The Adopt a Fire Station program was created in 2012 by Mayor Jacobs. This year, Orange County’s Fire Rescue Department and Neighborhood Preservation & Revitalization Division teamed up to make the event bigger and better than ever. The effort was supported by a television, radio and social media campaign to raise awareness and encourage community groups to participate. 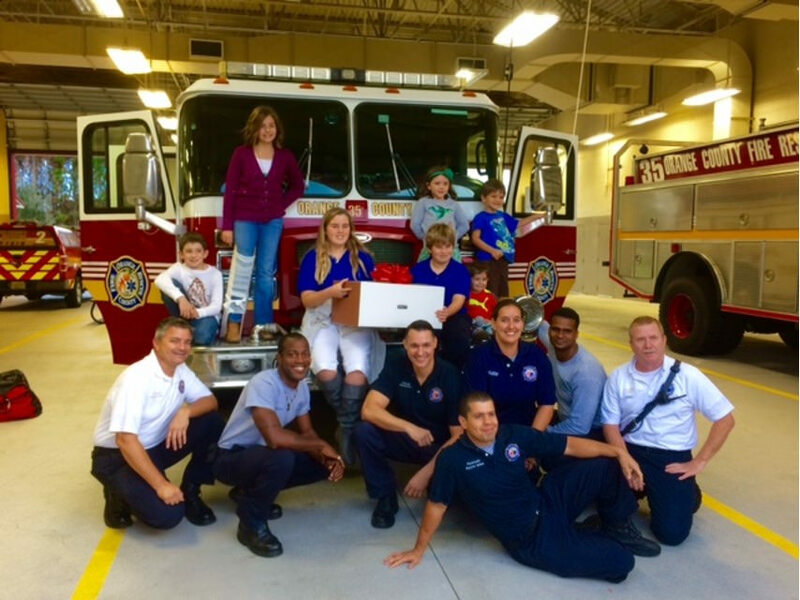 View more photos from the 2015 Adopt a Fire Station campaign on Mayor Jacobs’ Flickr album.